The Uttar Pradesh Chief Minister Yogi Adityanath was awarded ban for campaigning for the next 72 hours from 6am, 16th of April for violating the model code of conduct. Apart from banning UP CM Yogi, the Election Commission also took action against Mayawati, barring her for the next 48 hours from 6am, 16th of April again for breaching MCC. The Election Commission took this dare action only after the Supreme Court pulled up the body, the court asked EC about what action was taken against politicians for venomous hate speeches, which violated the model code of conduct. The UP chief minister was banned for calling the Muslim community “virus” and saying, “If the Congress, the SP and the BSP have faith in Ali, then we too have faith in Bajrang Bali.” Ali in reference here was for Prophet Muhammad’s successor, while Bajrang Bali is another name for Lord Hanuman. While, Mayawati was barred because she warned the Muslim community not to “split votes” between the Congress and her alliance. 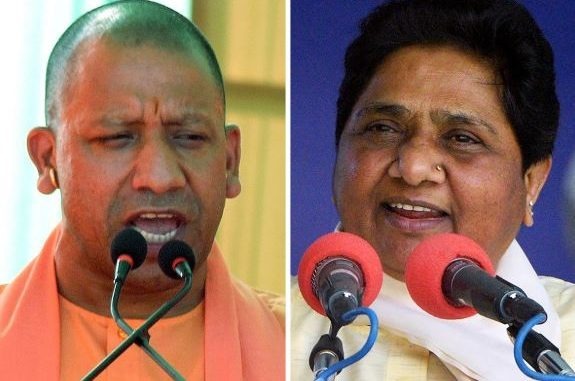 Apart from Yogi and Mayawati, several other parties and leaders were involved for calling on a specific religion and creating a disturbance, division among communities. Apart from Mayawati and Yogi several leaders had violated the model code of conduct. Maneka Gandhi, openly threatened Muslims to not ask for anything if they (Muslims) voted against her. Again recently, while addressing a gathering she said she would categorise regions based on voting percentages, and favor the booths based on votes. Another venomous lawmaker Sakshi Maharaj, said that he was a priest and he would curse those who voted against him. Before this comment, addressing a crowd he said 2019 was the last time you’ll would be voting, after this there won’t be elections. Azam Khan, a popular face known for cheap derogatory comments called his opponent who was a woman, and BJP candidate Jaya Prada “that the underwear beneath is of the khaki colour.” Khaki was a color worn by Rashtriya Swayamsevak Sangh, the ideological mentor of the BJP. The president of the ruling BJP and probably the most powerful man after Narendra Modi, Amit Shah said that he would remove all illegal citizens from India, except for Hindus, Sikhs and Buddhists. He was criticised for targeting other minority religious groups. It’s important for the election commission to take action against such people, and ban them from contesting elections. Public offices in our nation must be free from such filthy minds.